Glyn Fussell is a highly experienced learning and development consultant and one-to-one developer with a track record of delivering innovative leadership development across a diverse range of sectors. As a coach, facilitator and trainer, Glyn has enabled individuals, groups and organisations to achieve extraordinary results. With a philosophy that places self-awareness and authenticity at the centre of truly effective leadership, Glyn works to ensure that clients’ values are central to the work he does with them. His approach is to catalyse real change in behaviour, encourage visionary thinking and the alignment of personal, corporate and societal goals in a way that benefits all. Glyn has worked with a very wide range of individuals, teams and organisations. In his high profile work with international leadership development organisation, Common Purpose, Glyn has been privileged to work with some of the UK’s most influential and high profile leaders. His experience has led to a uniquely informed view of the leadership challenges faced by decision makers and the agility necessary for success. Glyn has offered leadership development at the highest levels within a very diverse cross section of organisations – ranging from Central Government to a number of market leaders and FTSE 100 companies from the private sector. He was lead consultant for the award winning Responsible Leadership Programme with PricewaterhouseCoopers and The Full Circle Programme with KPMG – both programmes merging experiential learning and dialogue with a real engagement with difference. With a creative edge developed from his background in performing arts, his approach empowers people to be confident and impactful in their leadership, to embrace change and be courageous in their choices. 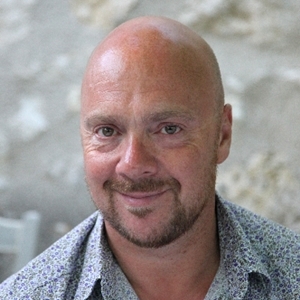 Glyn became a Co-Director of the Oasis School of Human Relations in 2016. He is a co-facilitator of our leadership programmes, including the Real Leaders programme and Speak to be Heard. A Whole Person approach giving you the tools, skills and confidence you need to work with others one-to-one. This 14 day leading edge programme places the development of the practitioner at the centre of the learning. An intensive workshop to build your confidence and increase your personal impact by using your physicality and your voice. You’ll practise posture and vocal exercises in a safe space. It’s a fun, participative programme where you will learn to increase your gravitas and reach your potential. An up close and personal approach to responsible leadership; developing you to be resourceful, relational and resilient in a world full of change. A radical programme of personal and professional development for leaders and managers from all walks of life who want to make a deep and lasting investment in their own development. Leadership in organisations is the on-going evolution of hard-won learning and experience in multi-disciplinary settings, deep culture change and relational practice, with people committed to meaningful action.